Usually have white flowers. 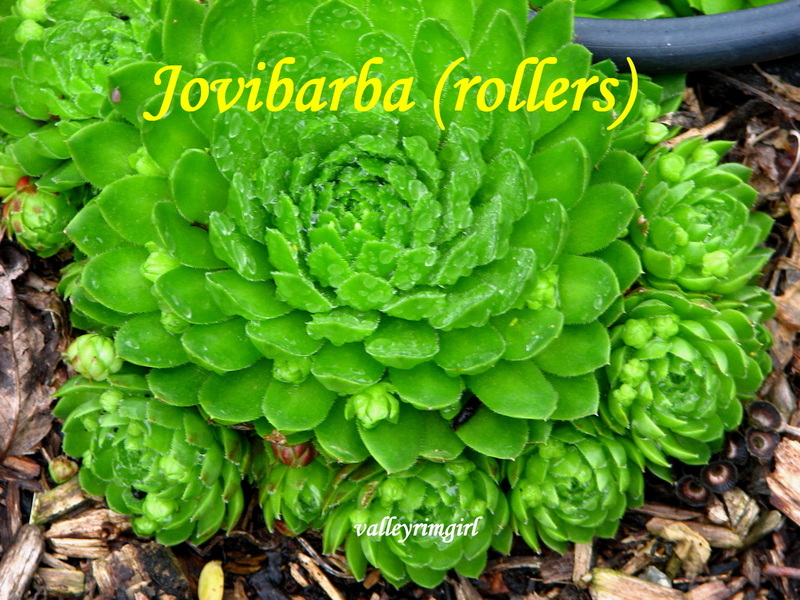 Their babies roll away from the mother plant, thus the nickname, 'rollers'. Often mistaken for sempervivum, as nurseries often label them as such. 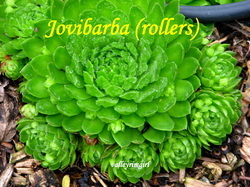 I have no name for this variety of jovibarba, but love it anyways.